Frank Castle is a killer, and that’s very scary. 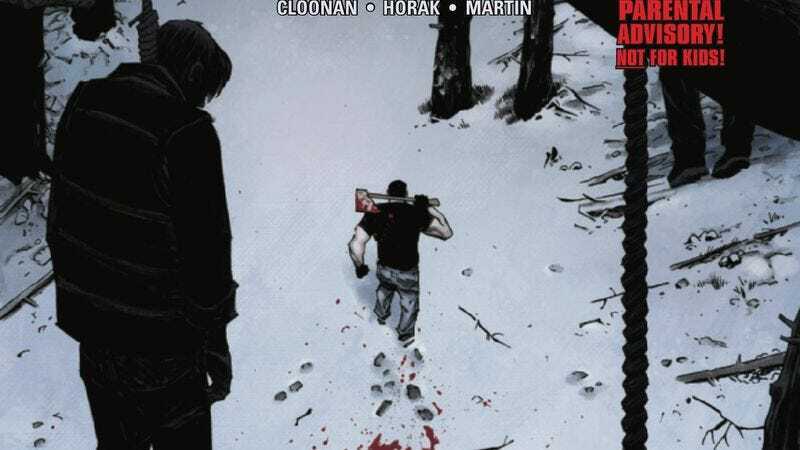 He may kill bad guys, but that doesn’t make him any less terrifying, and writer Becky Cloonan is deeply aware of this. Cloonan’s run on The Punisher has been an exceptional action-horror series that emphasizes Frank Castle’s cold, disturbed nature, and she’s not trying to convince the reader that The Punisher is a noble hero. He’s a soldier waging a one-man war outside of the law, and the series explores how he complicates the work of law enforcement officials by solving problems in ways they’re not allowed to. Becky Cloonan is the only woman at Marvel writing a series headlined by a male character, and the strength of her writing on this book suggests that Marvel should take more chances on female creators that could invigorate their biggest properties. The tragic loss of artist Steve Dillon was especially disappointing because he was doing the best work of his long career on The Punisher, but Marvel has found a fitting replacement in Matt Horak, who is heavily inspired by Dillon’s aesthetic. This preview of next week’s The Punisher #10 showcases the intensity of Horak’s characterizations and the atmosphere in his environments, and the shot of The Punisher’s victims hanging in the forest is an especially powerful visual thanks to the severe angle and bold contrast. Colorist Frank Martin adds dimension to the linework without detracting from the texture in Horak’s inks, and the use of cool tones in this preview makes the bloody hanging all the more striking. The Punisher has also featured some of the most stunning comic covers in recent memory, and artist Declan Shalvey and colorist Jordie Bellaire have created extremely effective images by forcing themselves to incorporate the character’s signature skull logo on nearly every cover. 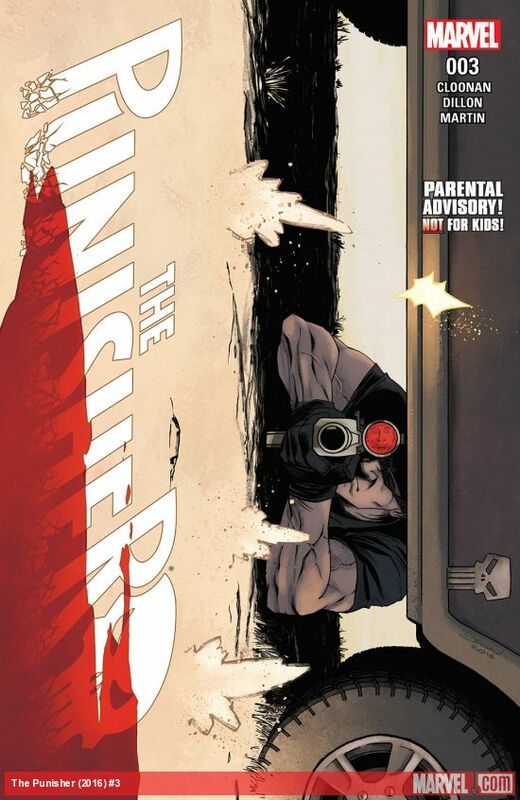 (The big exception is their cover for The Punisher #3, which features a brilliant composition that disorients the reader by presenting a horizontally oriented image in a vertical format.) The creative team on this series is firing on all cylinders, making The Punisher one of Marvel’s stand-out series.